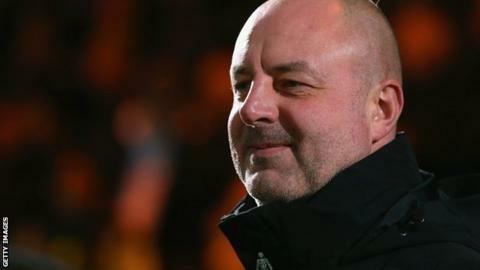 Rochdale were forced to hang on for victory against Shrewsbury Town at Spotland after racing into a 3-0 lead. Peter Vincenti, an Ian Henderson penalty and Jamie Allen gave Dale the perfect start inside just 15 minutes. Nat Knight-Percival then headed Shrewsbury back into things before James Collins rounded off an eventful first half from the penalty spot. But Keith Hill's side stood firm amid continued second-half pressure to climb back into the League One top six. "We usually make good starts but we just couldn't get going. Rochdale were prepared to run harder for the first 20 minutes. Basic defensive errors in the box cost us goals and that's what lost us the game. "At half time we had our tails up as we got back into the game but we couldn't capitalise on that momentum. It makes it even more frustrating that we had the whole of the second half and still couldn't find a goal. "We don't get any points for the amount of attacks we had against Rochdale. The forwards and keeper were faultless for us but we've been punished for one or two errors." Match ends, Rochdale 3, Shrewsbury Town 2. Second Half ends, Rochdale 3, Shrewsbury Town 2. Matt Tootle (Shrewsbury Town) is shown the yellow card for hand ball. Hand ball by Matt Tootle (Shrewsbury Town). Mark Halstead (Shrewsbury Town) is shown the yellow card. Attempt missed. Shaun Whalley (Shrewsbury Town) right footed shot from outside the box is high and wide to the right. Corner, Shrewsbury Town. Conceded by Andrew Cannon. Attempt blocked. Sullay Kaikai (Shrewsbury Town) right footed shot from the left side of the box is blocked. Tom Kennedy (Rochdale) wins a free kick on the right wing. Attempt blocked. Jean-Louis Akpa-Akpro (Shrewsbury Town) right footed shot from the centre of the box is blocked. Corner, Shrewsbury Town. Conceded by Matthew Lund. Larnell Cole (Shrewsbury Town) wins a free kick in the attacking half. Substitution, Shrewsbury Town. Shaun Whalley replaces James Collins. Substitution, Rochdale. Matthew Lund replaces Jamie Allen. Corner, Shrewsbury Town. Conceded by Peter Vincenti. Tom Kennedy (Rochdale) is shown the yellow card for a bad foul. Foul by Matt Tootle (Shrewsbury Town). Donal McDermott (Rochdale) wins a free kick on the right wing. Corner, Rochdale. Conceded by Mark Ellis. Attempt saved. Sullay Kaikai (Shrewsbury Town) left footed shot from outside the box is saved in the centre of the goal. Corner, Shrewsbury Town. Conceded by Donal McDermott. Corner, Shrewsbury Town. Conceded by Joseph Rafferty.